The rapper, who is a native of the Bronx, traveled southeast to the borough of Kings to the Marlboro Houses in Gravesend. The Marlboro Houses are a massive city-run housing project comprised of 30 different buildings. Cardi was a little late, but there were no complaints from the crowd. Rapper Cardi B handed out free winter coats to people in Gravesend, Brooklyn, on Thursday, Oct. 18, 2018. "I love her music and she's a hero to me, and she's the one who inspired me to music," one young girl told New York ABC station WABC as she waited for the pop star. Temperatures dipped down to 40 degrees in the city Thursday night and were projected to be even colder over the weekend. "It's nice, it's very nice that she's doing this for the people, really, because us people over here need a lot of help," a woman told WABC. Even Cardi B herself didn't realize there would be so many people at the event. Cardi B attends the Harper's BAZAAR "ICONS by Carine Roitfeld" party at The Plaza on Friday, Sept. 7, 2018, New York. "I didn't know it was gonna be so big," Cardi B told WABC. "My home boy Chuck, he told me, 'Hey, let's give out coats to our community, I know somebody who wants to give out coats in Marlboro,' and I said, 'I'm pulling out, what's up?'" 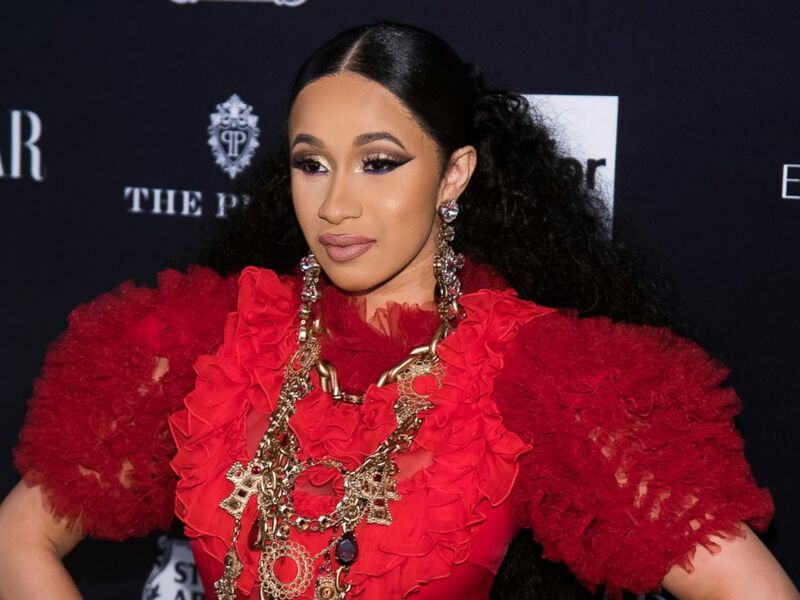 Cardi B, whose real name is Belcalis Marlenis Almánzar, has exploded in success over the past two years. Her first and only studio album, "Invasion of Privacy," was released in April and shot to No. 1 on the U.S. and Canadian charts. The album has been certified two-time platinum by the Recording Industry of America for over 2 million sales. Rapper Cardi B sat down for an interview on "Jimmy Kimmel Live" on Wednesday, Oct. 17, 2018. Her first single, "Bodak Yellow," has sold over 6 million copies. All told she has six platinum singles and has appeared on four more platinum songs as a contributor. She joked on "Jimmy Kimmel Live" on Tuesday night that she should have become a mother even earlier in life. "I am enjoying it. It's the best. It's like, oh my gosh," she said during the interview. "I should have had you when I was a teenager. Is this what I was missing my whole life? I love you."